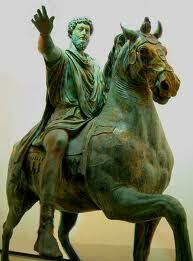 Through A Blog Darkly: Stoicism: Dealing with insults. I have been for forty years listening to you through a crack under the floor. Reality television loves to encourage verbal sparring by deliberately creating antagonistic situations. They turn shouting matches into spectator sports where counter insults are discussed in post match analysis and the ability to 'cut someone down' is very much admired. Culturally, insults are now considered attacks and responding in kind is an act of self defense. But while this (arguably) makes for good television, it carries the cost of the loss of tranquility and calm that Stoics strive for. The danger with insults Stoics thought is that we can become angry or hurt and these feelings are more harmful than the insult itself, not least because they can lead to resentment and destroy charitable feelings towards our feeling humans. It's no surprise that the Stoic philosophers devoted considerable time to developing strategies for dealing with insults and with annoying people. In all things Stoics sought to keep a sense of perspective by constantly reminding themselves that humans are part of Nature and individual humans are subject to the same determinants as the rest of nature. But we are free to control our judgement and it is our judgement of an insult that causes the hurt. "Remember,” Epictetus wrote, “that what is insulting is not the person who abuses you or hits you, but the judgment about them that they are insulting." Thus the Roman Emperor Marcus Aurelius found it useful to remind himself to "Say to yourself in the early morning: I shall meet today inquisitive, ungrateful, violent, treacherous, envious, uncharitable men. All these things have come upon them through ignorance of real good and ill". People do not choose to behave they way they do so "[t]hat men of a certain type should behave as they do is inevitable. To wish it otherwise were to wish the fig-tree would not yield its juice." If we do desire revenge Marcus wrote, the best revenge is "to be unlike him who performed the injury". Seneca recommended another strategy : that we consider the source of the insult. If we consider the source knowledgeable and wise, we should welcome his opinion and learn to overcome our anger. 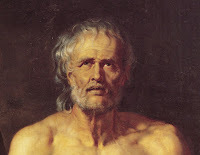 "Why is it an insult,” Seneca asks, “to be told what is self-evident?". But in most cases the source of the insult will come from a childish uninformed adult and we would be foolish in the same way that a mother would be foolish to let the “insults” of her toddler upset her, we would be foolish to let the insults of these childish adults upset us. Epictetus too recommended we pause to consider our insulter. If he is a fool then rather than become angry or hurt, we should feel relief over his disapproval and insults. Indeed, we should be more concerned if we find the fool agreeing with us. Humor is another useful tool for removing the sting from any insult. Seneca approvingly told a story of how someone once hit Socrates without any warning. Rather than getting angry, Socrates made a joke about what a nuisance it is, when we go out, that we can never be sure whether or not to wear a helmet. Epictetus also deployed humor to deflect insults by saying "If you hear that someone is speaking ill of you, instead of trying to defend yourself you should say: "He obviously does not know me very well, since there are so many other faults he could have mentioned". Most of us however lack the wit for a humorous riposte. In that case Musonius said, we should “calmly and quietly bear what has happened.” This is, he reminds us, "appropriate behavior for a person who wants to be magnanimous.” But some attackers can mistake a disdainful silence as weakness and press their attacks. In this case the outward appearance of anger and 'cutting someone down to size' is justified. But we must remember Seneca cautioned, the purpose is to correct behavior in the future, not because we are angry over the past. The appearance of anger is fine, providing we do not actually suffer the passion of anger.